Luzid Chaos is a thrillingly experimental new band based in Vienna, Austria. Ever since the beginnings of the group in 2014, the combo has a strong passion for energetic, avant-garde, and vibrant melodies with a unique feel. songwriting, creating compelling tracks that strike a chord for their ability to blend different genres, influences and ideas, ranging from rock to electronic, jazz, fusion, and more. 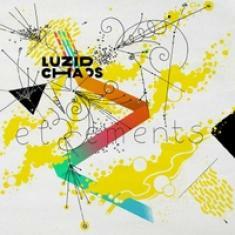 Luzid Chaos' most recent release, Elements, is a perfect example of the band's sonic vision and aesthetics. This production is balanced, direct, and forward-thinking, with a sound that feels refreshingly modern yet organic and natural like a classic from the Golden Age. Luzid Chaos echoes the work of artists as diverse as Bjork, Tom Waits, Sam Prekop, and Miles Davis, just to mention a few. cliches, it is refreshing to come across an artist who uses music as a mean of self-expression, connecting with the audience on a much deeper level.